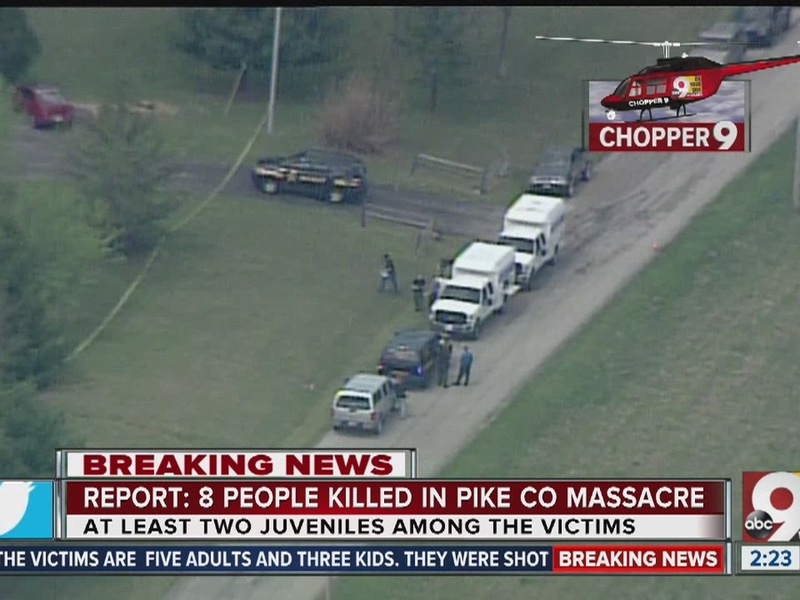 Who killed eight family members in Pike County? 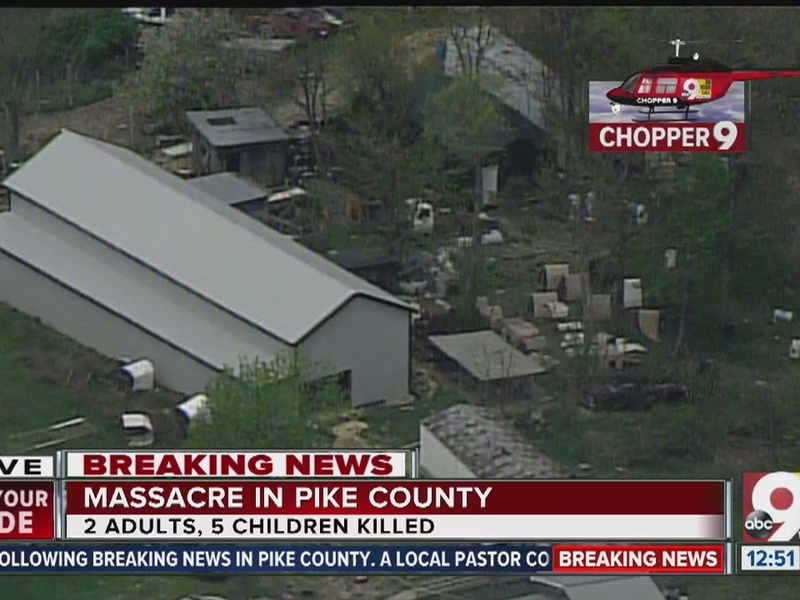 Chopper 9's Dan Carroll describes the three separate crime scenes that are fenced off during police investigations into Friday's massacre that left two adults and five children dead in rural Pike County. >>Watch the latest updates in the media player above. 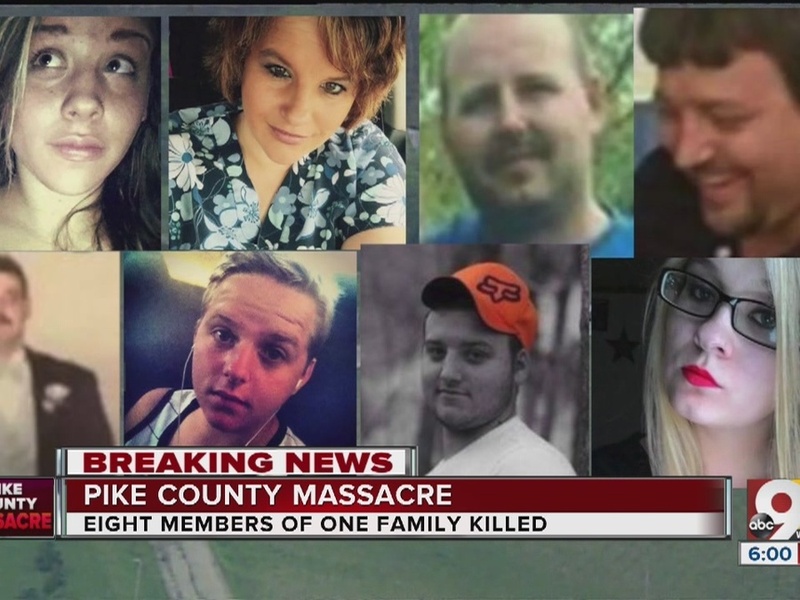 PEEBLES, Ohio -- Investigators completed their work at multiple crime scenes Saturday, the day after a "murderer or murderers" massacred eight members of a Pike County family in a series of targeted, "execution-style" killings, Ohio Attorney General Mike DeWine said. 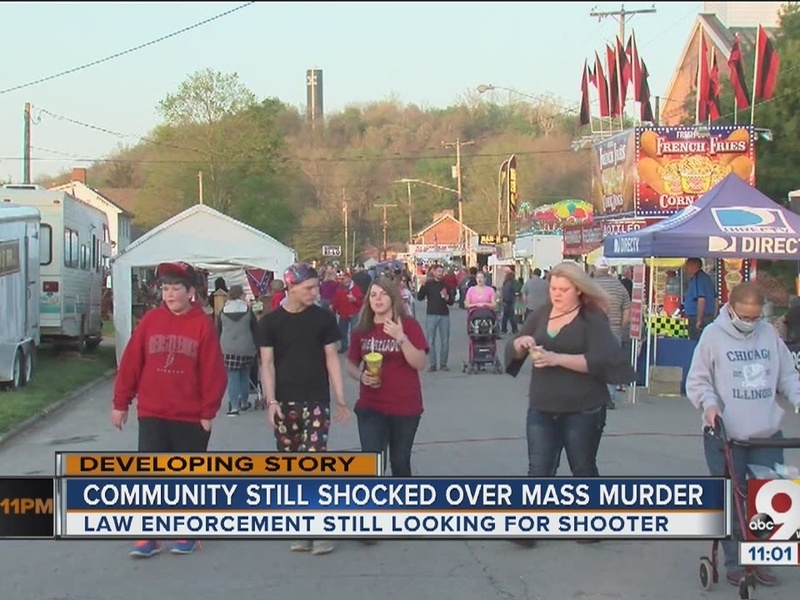 And, as tips poured in, DeWine and Pike County Sheriff Charles Reader cautioned it may take a while to find the killer or killers, refuting reports that a "person of interest" was in custody. "We are very early into this investigation," DeWine said. Seven adults and a 16-year-old boy were shot in the head at four different crime scenes, the sheriff said. Each was a member of the Rhoden family. Many of the victims were in their beds, DeWine said. DeWine and Reader identified the victims as Hannah Gilley, 20; Christopher Rhoden Sr., 40; Christopher Rhoden Jr. , 16; Clarence "Frankie" Rhoden, 20; Dana Rhoden, 37; Gary Rhoden, 38; Hanna Rhoden, 19 and Kenneth Rhoden, 44. 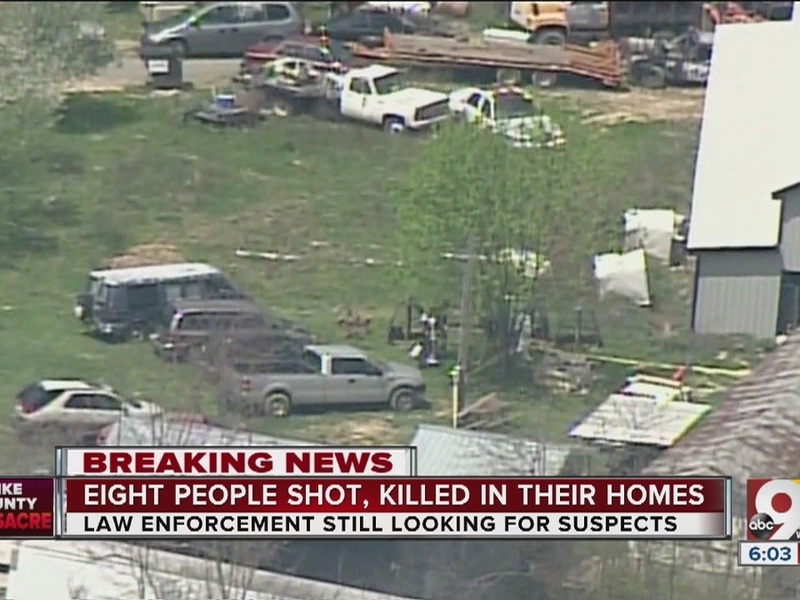 Deputies removed three children from the homes who survived the massacre, Reader said. They are a 4-day-old, a 6-month-old and a 3-year-old. Particularly shocking to DeWine: the 4-day-old's mother was next to the child when she was killed, he said. "I've served locally for 20 years in law enforcement, and never have I ever imagined such devastation to a family, to a county, to myself or staff," Reader said. The killings, stunning for any place, reverberated deeply throughout Pike County, a rural area in south-central Ohio where fewer than 30,000 people live. 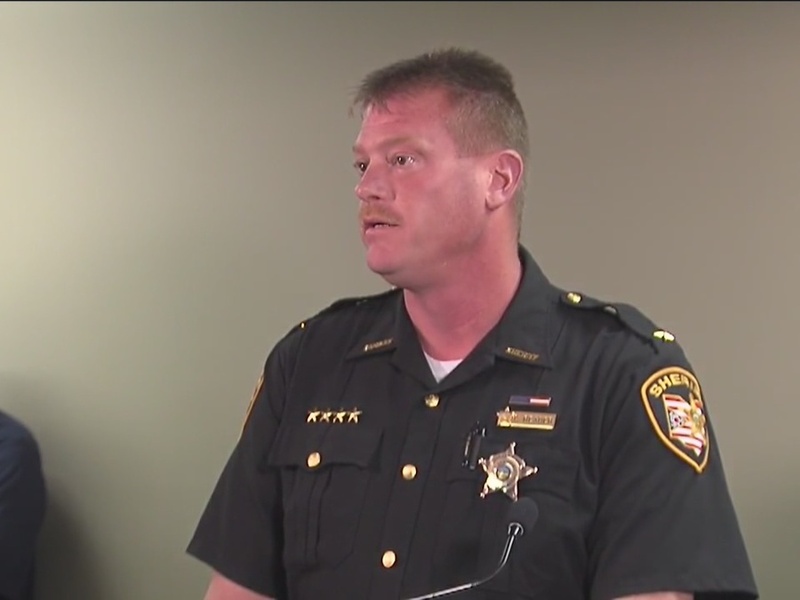 The sheriff also said he knew the Rhoden family well: "It's a small county." 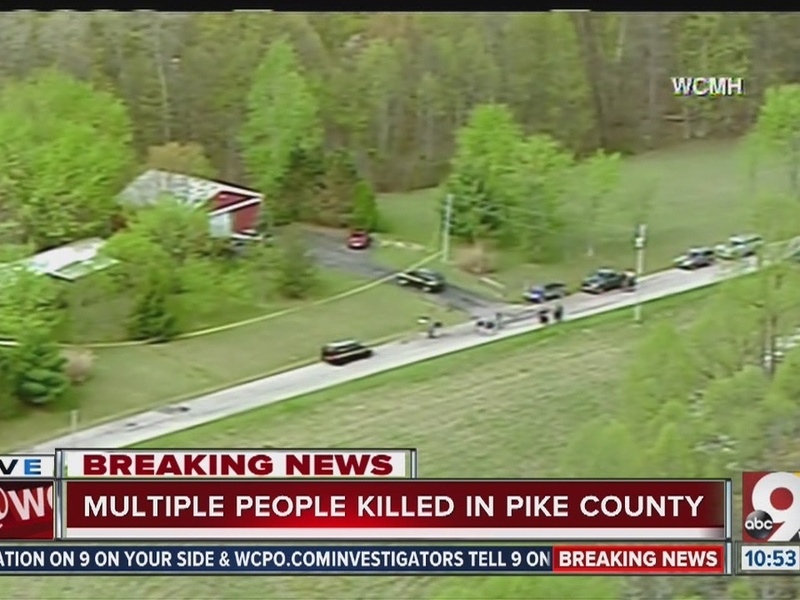 Deputies found the bodies in four homes Friday morning just northeast of Peebles, Ohio. Those addresses include 4077, 4199 and 3122 Union Hill Road. According to Pike County auditor's records, one of those properties is owned by Christopher Rhoden and another is owned by Richard and Melissa Weisel. The third address was not listed in the auditor's database. Deputies found the eighth and final body at an address on Left Fork Road at another property owned by Christopher Rhoden. The properties include houses and trailer homes separated by about a mile. DeWine said the crime scenes will remain active "for some time." During a news conference Friday afternoon, both Reader and DeWine emphasized that the shooter or shooters are not in custody. "Any individuals involved in this are armed and extremely dangerous," Reader said. "We do not know their location," DeWine said. 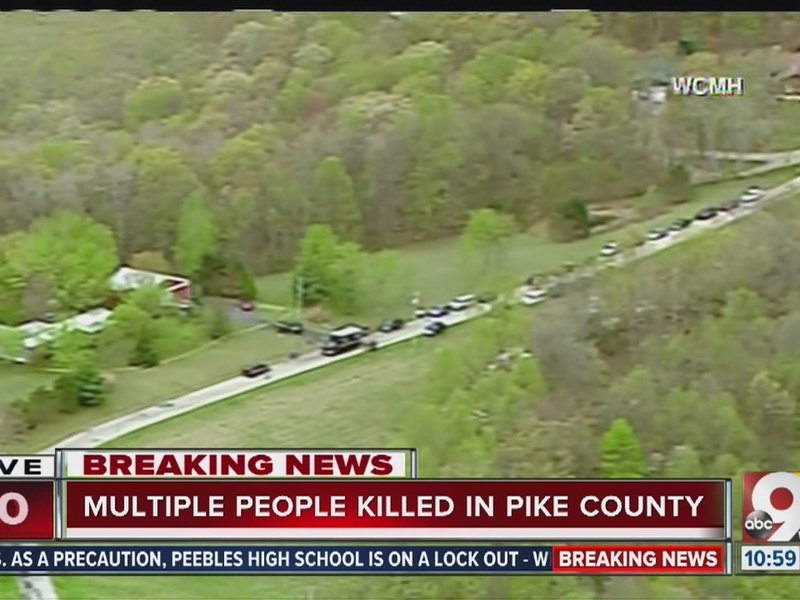 "We would advise the people of Pike County...to be careful. We're advising the family members to be very careful and take particular caution. This really is a question of public safety. Particularly for any of the Rhoden family." Later Friday night, though, Reader and DeWine changed course slightly, saying they believed there was no direct threat to the community at large. "Again, we have a specific family that has been targeted," Reader said. "I don't believe there's any other threat to any members of the community. However, there is a threat there, and I believe that threat to be armed and dangerous." 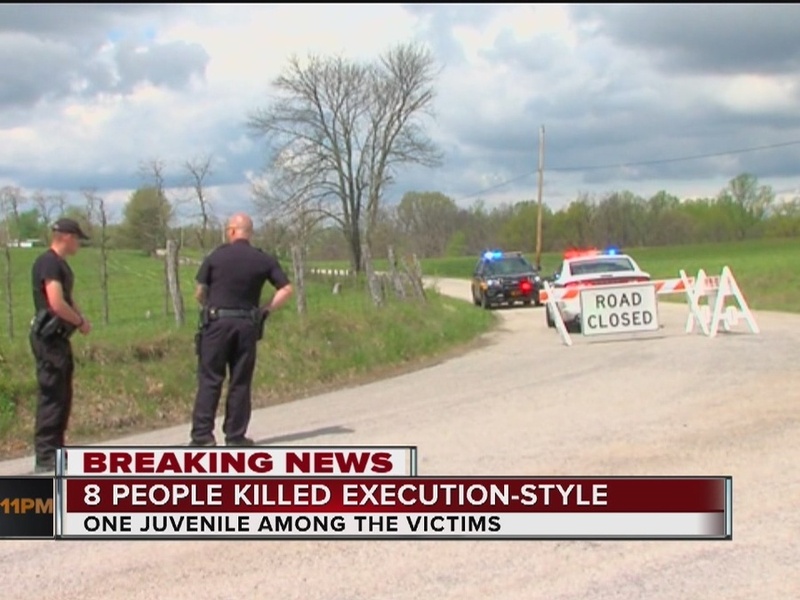 "We do not know if we are talking about one individual, or two or three or more," DeWine said. He noted there's no indication any of the eight victims died from a suicide. "We have a murderer or murderers who've done this," he said. The violent crimes were particularly shocking for residents of Rural Pike County, where the crime rate is well below that of the state and country. "The community is heartbroken -- shocked -- wondering 'how could this possibly happen to us?'" Fulton, the pastor, said. Those who knew the victims had only good things to tell reporters. "Dana was a very hardworking lady -- loved her kids, loved her family," Fulton said. "Very outgoing -- just happy-go-lucky, it seems like." Johnny Gamble is married to Dana's cousin. He called the family "just good people." 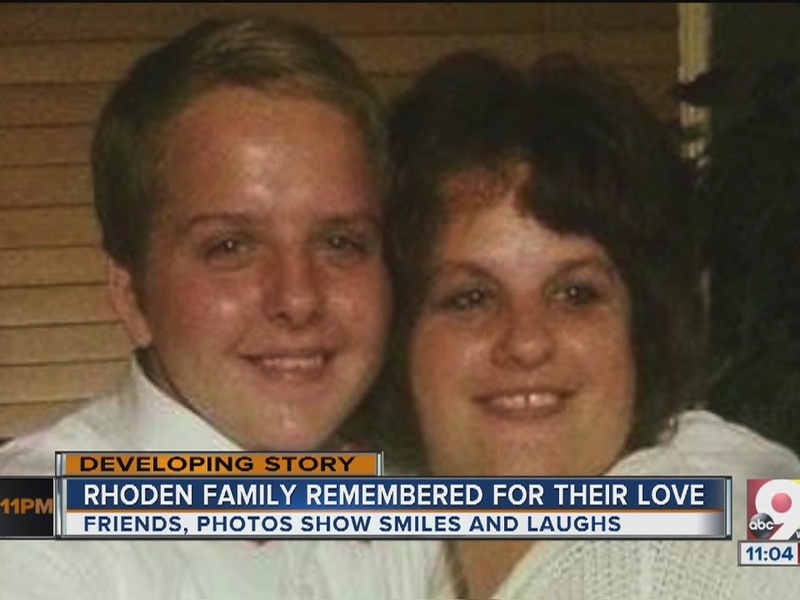 Local residents set up a fund for the Rhoden family at First State Bank in Peebles. "There's three young children there to raise, and in this day and age that is very costly," Sally McDaniel said. Reader said there had been an "overwhelming" number of tips, and DeWine said about 30 people had been interviewed or questioned. "I wouldn't use the term 'person of interest,'" he said, when asked about reports someone had been taken into custody in connection with the killings. The investigation is "focused" and "methodical," DeWine said. "It will go wherever the facts tell us. And, you know, there's different theories that we're looking at, or different possibilities based upon some of the different facts that we know, but I really can't say much beyond that." DeWine also urged patience. "Investigations like this can take a while." By Saturday evening, investigators had completed their work at the four scenes, according to DeWine. Evidence was being processed at BCI labs. He said he kept Ohio Gov. John Kasich updated on the investigation; the governor is out of state as he campaigns for the Republican presidential nomination. "When people die like that and people bleed, we all do, all over the country," Kasich said Friday in Connecticut. "It’s a terrible, terrible thing, and we’ve got to find out who did this, and again, bring them to justice." Some deputies in the small Pike County Sheriff's Office had been on duty for 22 hours by Friday night, Reader said. Nearby agencies were called in to assist; Russelville Police Department posted on Facebook saying "Our agency is assisting Pike County Sheriff;'s Office during this tragedy...giving deputies and investigators to away to rest." Brad Garrett, an ABC News expert and former FBI agent, said law enforcement agents often refer to shooters in cases like this as "family annihilators." "It's not uncommon for a shooter like this to go from one house to another house to kill everyone that he thinks has harmed him in some form or fashion," Garrett said. MORE: What might motivate family annihilators? Sally McDaniel said she went numb when she heard the Rhoden family was involved. She owns Hometown Pizza in Peebles, and said the Rhodens would dine there often. "I knew the girl's father -- I went to school with him -- and they also came in here, so I knew them pretty well," she said. McDaniel said she brought food to some of the surviving family members as soon as she learned of the shootings. They seemed to be in shock, she said. "You would have to be a monster to go in and do something like that," she said. Even though it's about eight miles from the scene, Peebles High School was put on "lockout" as a precautionary measure. This status meant nobody was allowed in or out for about an hour, but school was still in session, officials there said. The Pike County Sheriff's Office requested state help at 8:20 a.m. Friday, according to spokesman Dan Tierney of the Ohio Attorney General's Office. Union Hill Road is just off SR-32 about 75 miles east of Cincinnati. The road parallels much of the border between Adams and Pike counties. The Bureau of Criminal Investigation, crime scene search unit and cyber-crimes unit all had crews at the scenes. Authorities asked that anyone with information in this case to contact the BCI at 1-800-BCI-OHIO (224-6446) or the Pike County Sheriff's Office at 740-947-2111.